Chatswood Hills News & Casket Agency was also where a $10 million winning ticket was sold in 2017. WOULD you still turn up to work if you just discovered you'd won division one? One hardworking Slacks Creek man has begun planning a "sickie" for tomorrow to celebrate his good fortune. The winner discovered his $672,000 Saturday Gold Lotto fortune this morning, describing it as "discovering gold at the end of a rainbow." The man's entry was one of the six division one winning entries across Australia in Saturday Gold Lotto draw 3923. Each entry won a division one prize of $672,193.57. The Logan resident also revealed he would use his prize to buy an acreage property. 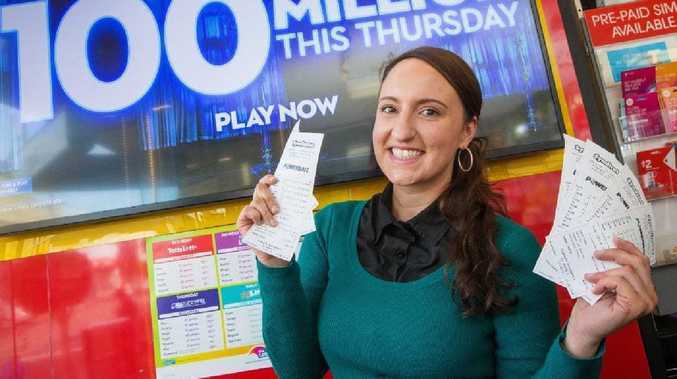 The winning 36-game entry was purchased at Chatswood Hills News & Casket Agency, Shop 34, Chatswood Hills Shopping centre, Magellan Road, Springwood. 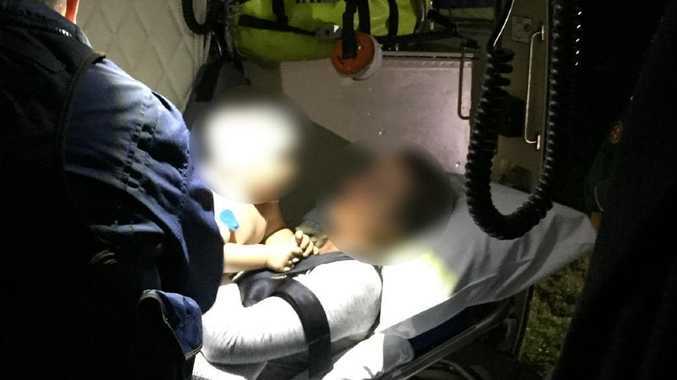 It was the same agency that sold the winning Powerball ticket which netted a Springwood tradie a whopping $10,658,989 on November 23, 2017. The Queenslander discovered his $672,000 Saturday Gold Lotto fortune this morning, describing the confirmation of the life-changing news as "discovering gold at the end of a rainbow." 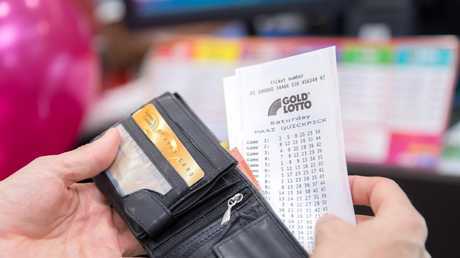 The man's entry was one of the six division one winning entries across Australia in Saturday Gold Lotto draw 3923, drawn Saturday 23 February 2019. Each entry won a division one prize of $672,193.57. Confirming his win with a Golden Casket official this morning, the man revealed he had no idea he'd been walking around with a division winning entry inside his wallet for days. The winner had the winning ticket in his wallet since Saturday. "That's unbelievable," he exclaimed after the initial shock subsided. "I've been playing lottery games for years and I've had a couple of little wins here and there but nothing at all like this! "This is definitely the icing on the cake as they say. "I had no idea I'd won. "I just pulled into my local newsagency to check my entry from the weekend and they told me they couldn't pay the prize out. "This news is like discovering gold at the end of the rainbow!" The Logan resident described himself as a hard-worker, but said he'd need a sickie to celebrate his unexpected win. "I'll keep working, that's for sure. But I'm going to have to call my boss and tell him I'll be sick tomorrow," he laughed. "I'd love to buy an acreage property. I think that will be my first purchase. "I honestly don't know though, this news is still sinking in!" Chatswood Hills News & Casket Agency owner Soni Dahiya said he was relieved to know the winner had finally checked their entry and discovered their good fortune. "Customers keep coming in hoping they've got the winning entry so we're thrilled the rightful winner has checked their ticket," he said. "Just over a year ago we sold a winning $10 million winning Powerball entry, so we're so excited to have sold another division one winning entry so close to the last." "We have no doubt this man will enjoy his prize, we wish him all the best and hope they visit us again soon!" The winning numbers in Saturday Gold Lotto draw 3923 on Saturday 23 February 2019 were 37, 13, 19, 21, 25 and 20, while the supplementary numbers were 33 and 27.